Richard Leckerling is the coordinating partner of the Firm’s Governmental Relations Practice Group. He specializes in the representation of clients before the New York State Legislature, the Executive branch, and other state agencies in regard to a broad array of issues before state government. He and his colleagues represent a wide variety of corporations, associations, and institutions on issues related to education, the environment, financial services, health care, energy and telecommunications, manufacturing, tourism and recreation, and other topics. Mr. Leckerling was co-managing partner of the Firm from 2003-2017. Served as Albany representative of the nation's leading stock exchange, as well as numerous other leading financial services corporations. Represented major institutions of higher education in successful efforts to obtain funding for high technology and economic development projects. Represented the leader of New York City's school system and provided legislative counsel to successfully abolish the antiquated board of examiners system for the selection of teachers and establish the Chancellor's ability to transfer principals from school-to-school. Represented the nation's largest test maker in a long series of legislative efforts to limit the impact of legislation effecting standardized assessment. Assisted the trade association representing the world’s leading distillers in their successful efforts to remove antiquated “blue law” restrictions of the marketing and sales of distilled spirits. Mr. Leckerling is a graduate of Hobart College and Hofstra University School of Law. 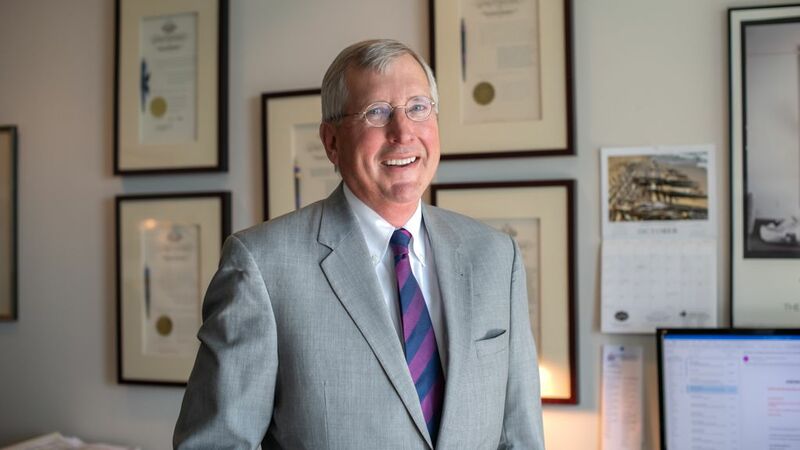 Before joining the Firm in 1989, Mr. Leckerling held key positions in the New York State Assembly from 1977 to 1985 and began his governmental relations career at Shea & Gould. He served as a counsel to Assembly Speaker Stanley Fink for seven years after serving as counsel to the Assembly's Higher Education Committee and Human Rights Subcommittee. He currently is a board member of the Center for Economic Growth. AIA/NYS, Amazon.com, American Express, CarMax Auto Superstores, Inc., Council of NY Cooperatives, Distilled Spirits Council of the United States, Hertz, Johnson & Johnson, New York Physical Therapy Association, NYS Society for Respiratory Care, Quest Diagnostics, Reinsurance Association of America, The Scotts Company, LLC, and TIAA/CREF.